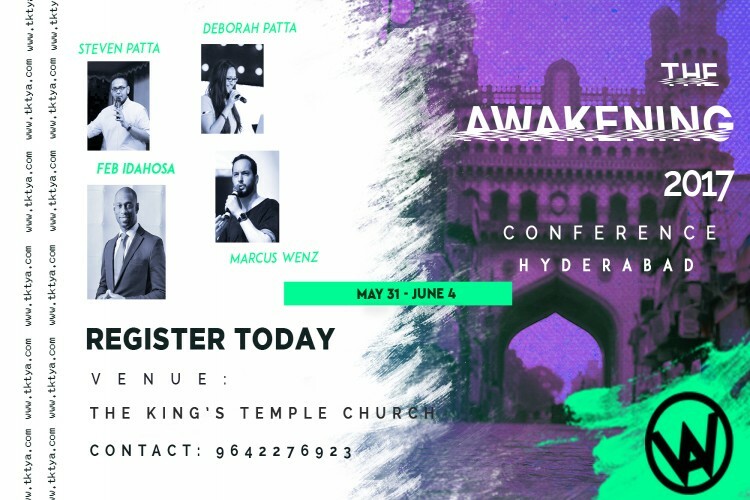 The Awakening is a movement created to inspire, encourage, motivate and challenge teenagers and youth in India to make the right decisions and choices in life. India is among the top three country's in the world that has an alarming rate of teenage suicides every year. India is also among the top five country's in the world with a very high rate of substance abuse. Over the past decade, India has seen rapid growth in teenage pregnancies out of wedlock. The numbers are growing everyday and too many teenagers and youth in our country are making the wrong decisions that are ruining their lives and careers. I believe that our generation has the responsibility to reverse the numbers. We are supposed to be the next inventors, CEO's, teachers, doctors, pilots, influencers and world changers. The Awakening is a movement started by my church. It is a four day event where teenagers and youth come from all over India and parts of Asia to be inspired and challenged by motivational speakers, reputed professionals to ignite passion in young lives and encourage them to be difference makers in the world! I am fundraising to help sponsor 200 teenagers to be able to attend the event. The event costs Rs.500 for four days and includes food & accommodation. For claiming reward ticket(s) click on rewards icon which was on the right side of the screen. Your share could be as good as a donation for INTERNATIONAL OUTREACH! Not everyone can afford to take care of their loved ones. INTERNATIONAL OUTREACH's life can only be saved by donations made by kind people like you.